Robinson Cano, Jacoby Ellsbury, Brian McCann, Shin-Soo Choo, and Carlos Beltran all signed big deals within a matter of weeks, and then…baseball fans were left wondering what happened to the stove, and while a watched pot never boils, the wait for the next big signing seems to be longer than the Cubs World Series drought…ZING! The 2014 free agent class certainly had some impressive names on the list, and after Clayton Kershaw signed his seven-year, $215 million extension on Thursday, the list of 2015 upcoming free agents took a major hit. Teams have a lot of money due to the incoming television mega-deals that Major League Baseball has signed, and that revenue is allowing clubs to lock up many of their homegrown players prior to reaching free agency. With so few superstars actually reaching free agency, it appears that those who do are going to cash in with some lucrative deals, even if they aren’t necessarily worthy such an investment. Masahiro Tanaka: Tanaka has gone 53-9 with a 1.44 ERA and 0.94 WHIP over 611.1 innings over the last three seasons in Japan – while tossing 30 complete games and averaging eight innings per start over 76 starts. The wear and tear on his arm rivals that of Daisuke Matsuzaka, yet he’ll be the top free agent and teams are clamoring to invest heavily in him. It’s as if teams forgot that Matsuzaka’s shoulder and elbow looked like road kill after 61 starts in Boston – and his career was a train wreck. Is Tanaka worth nine figures? Ubaldo Jimenez: Jimenez was 20-25 in his first 61 starts in Cleveland, posting a 5.10 ERA and 1.55 WHIP over 340.2 innings…and then the second half of 2013 happened, and Jimenez was 6-5 with a 1.82 ERA and 1.14 WHIP over 13 starts and 84 innings and he is suddenly an ace! 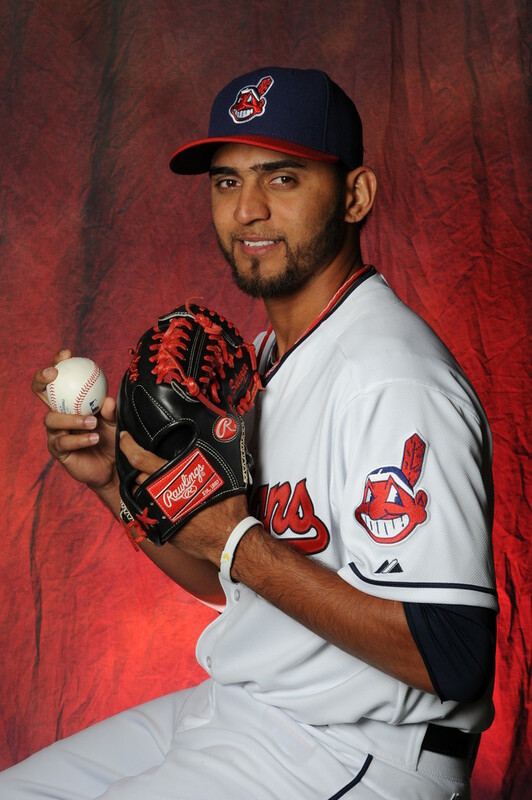 Sure, Indians’ pitching coach Mickey Callaway helped Jimenez with his balance and delivery, but did he make him into the same pitcher who went 15-1 with a 2.20 ERA and 1.05 WHIP in the first half of 2010, or will Jimenez return to the mess that he was in his first 61 starts in Cleveland? Is Jimenez worth $75 to $90 million? Ervin Santana: Santana was a salary dump last winter, as the Los Angeles Angels sent him to the Kansas City Royals with $1 million (the Royals paid the remaining $12 million of his contract) after Santana posted a horrific 5.16 ERA, 74 ERA+, 1.27 WHIP and 9-13 record over 30 starts and 178 innings in 2012. Then, Santana went 9-10 with a 3.24 ERA, 127 ERA+, and 1.14 WHIP over 211 innings and 32 starts, and he is the second coming of Christ…or is he? 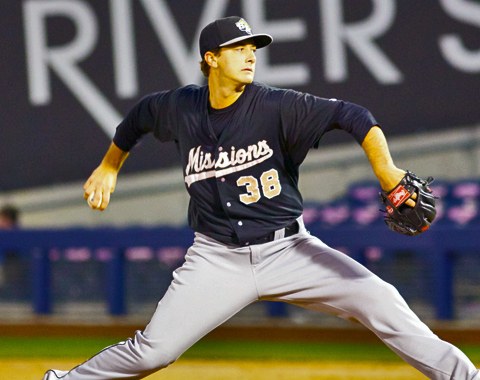 If Santana was the top state-side arm on the market, wouldn’t he be worthy of an offer? Maybe clubs are being cautious of Santana, who has had three full seasons with ERAs over 5.00 and ERA+ under 90, while tossing in five seasons with an ERA under 4.30 and an ERA+ of 106 or more, and they aren’t too keen on the idea of giving $100 million (which Santana was said to be seeking) for such dramatic, roller coaster production. Salary relief or not, Santana was acquired for Brandon Sisk, who missed all of 2013 due to Tommy John surgery, a 28-year-old relief prospect. Is he worth this type of commitment? Perhaps the slow movement of the pitching market is because of how ugly it actually is once you look at the numbers, while teams could be looking ahead to the 2015 free agency class. Even without Kershaw, there appears to be much better options available, and with so many pitchers with options, could teams be hoping to cash in on acquiring strong pitchers coming off of down seasons who won’t necessarily cost their respective clubs draft-pick compensation? Homer Bailey, Josh Beckett, Jorge De La Rosa, Ryan Dempster, Gavin Floyd, Kyle Kendrick, Jon Lester, Colby Lewis, Justin Masterson, Brandon McCarthy, Jake Peavy, Wandy Rodriguez, Max Scherzer, and James Shields. With San Francisco Giants third baseman Pablo Sandoval, Los Angeles Dodgers shortstop Hanley Ramirez, Cleveland Indians shortstop Asdrubal Cabrera, Colorado Rockies outfielder/first baseman Michael Cuddyer, and designated hitters like Detroit Tigers Victor Martinez, Boston Red Sox David Ortiz, and Chicago White Sox Adam Dunn, the hitting market is also relatively strong; although, not as enticing as the possible pitchers who could be available next winter. There are still some useful names out there on the free agent market, but is it time to wonder whether it is the player names (Nelson Cruz), the draft-pick compensation (Kendrys Morales, Stephen Drew, Jimenez, Santana), or teams looking to the potential free agent market in 2015 that is causing the hot stove to have frozen? With teams reporting to Spring Training in about five weeks, there could be busy days ahead of us, or there could be a lot of agents being replaced by dissatisfied baseball players who were left behind. Another season has finished and with only ten teams having successful, playoff-bound seasons, it is time for the other 20 teams to look forward to the 2014 season. After 162 games, you probably have a pretty good idea of what your team needs. Below, you’ll find a list of upcoming free agents. Who would you like your team to sign? Comment away!!! Needless to say, it is a weak, weak market this offseason. 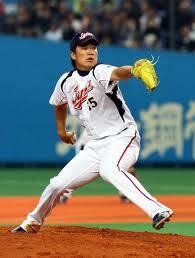 The Wild Card is Tanaka, who could be posted by his Japanese club. The youngest of the group, Tanaka has a 1.44 ERA over the last three seasons in 580.1 innings. At 6’2″, 205 pounds, Tanaka is more Yu Darvish (6’5″, 225) than Daisuke Matsuzaka (6′, 180), but he should fall somewhere in between. Garza wasn’t really all that productive after moving to Texas in a mid-season trade, and after battling elbow issues prior to the deal, his market may be very weary in its development. Johnson had an absolute nightmare of a season in Toronto, posting a 6.30 ERA over 16 starts (81.1 IP) before being shut down in late August with a forearm strain. Lincecum has shown some positive signs of his former self, but his fastball velocity continues to decrease and his previous contract (two-year, $40.5 million) seems highly unattainable. The remaining four, Jimenez, Kazmir (who sat in the mid-90’s all season, stayed healthy, and is young enough to produce through an extended contract), Nolasco, and Santana, had the best seasons of those reaching free agency in the coming months, but none of them are elite. On a good team, none of them should be more than a No.3 starter. This group is full of guys who have performed very well at times over the last few years. 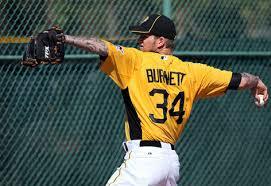 Burnett has been lights out for Pittsburgh this season (209 K, 3.30 ERA in 191 IP), Dan Haren had a 3.29 ERA over his final 16 games (87.2 IP), Kuroda has a 3.40 ERA over his first six seasons in America, and Arroyo hasn’t missed a start in his career. The rest of the group is kind of all over the place, some battling through various injuries and others battling through inconsistencies that come with aging and the loss of stuff. This group could be pretty affordable due to their age and limitations, but they could be very valuable for whoever signs them, tossing useful innings or providing leadership within a rotation and clubhouse. Several guys here coming off of injuries, while some have just long been ineffective, like Hughes and Pelfrey (who seemed to find a tick on his fastball late in the year). While none of these guys are locks to fill a rotation spot, they could become the 2014 version of what Kazmir provided to the Cleveland Indians. An incentive-laden contract for any of these pitchers is a worthy gamble by an intelligent club. Considering the young, affordable, internal options that have stepped up and become useful in the closer’s role over the last several years like Craig Kimbrel, Greg Holland, and Kenley Jansen, as well as the highly-paid closers that have bombed (Francisco Cordero, Francisco Rodriguez, and Jose Valverde, for example), maybe the expensive, long-term deals that used to be handed out to closers in free agency could be a thing of the past. Not one of these free agents have maintained a closer’s job for the last three straight years without interruption, and, for that reason, should sign at a relative discount when compared to deals in years past. More pitchers who are all over the place in production and health, the relief pitcher is probably the most confusing position in all of baseball. Some dominate every year, like Mike Adams, and others, like Rodriguez, have been about as consistent as a politician. A tremendous bullpen typically happens due to gambling and winning on a risk, and being very, very cautious with how much money is given to free agents. None of these guys should receive more than $5 million per season, but it wouldn’t be surprising if some unintelligent front office makes the bold move and sets the market way too high. Spring training is an exciting time for baseball nerds. We get to hear stories about how so many players are in the greatest shape of their lives, while we count down the days until meaningful games begin. The position battles are the most interesting things to watch over the next several weeks, and while it seems like there aren’t a lot of battles to grasp onto, here are a handful that I know that I am going to monitor. With the additions of Scott Kazmir and Daisuke Matsuzaka on minor league deals, the healing elbow of Carlos Carrasco, and the acquisition of Trevor Bauer from the Arizona Diamondbacks, the club has gone from having very little pitching depth to a possible abundance. It would be safe to assume that new manager Terry Francona has Justin Masterson, Ubaldo Jimenez, and Brett Myers penciled into the first three spots, while youngster Zach McAllister has a leg up on the No.4 spot, though it isn’t guaranteed. The possible battle for one spot between four solid arms is definitely an intriguing battle. When the Tigers signed Torii Hunter to a two-year deal, they created a logjam of corner outfielders. Andy Dirks seems to have the best shot at the every day job, but he still has Brennan Boesch, Quentin Berry, and youngster Avisail Garcia who could steal some at-bats over the course of the season, while prospect outfielder Nick Castellanos could also push for at-bats later in the season. With Victor Martinez returning from an ACL injury, the DH spot is on lockdown. 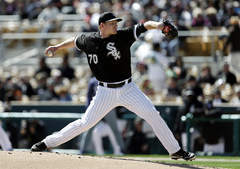 The Tigers could look to make a deal for a veteran relief pitcher, as Bruce Rondon looks like the potential Opening Day closer after 52 appearances over three minor league levels in 2012. We’ll see if a club decides they could use some offensive help, especially if any PED suspensions come down from MLB from the Biogenesis case out of Florida. Gone is Kelly Johnson, who signed a minor league deal with the Tampa Bay Rays, and added were Emilio Bonifacio and Maicer Izturis. The Jays are absolutely loaded this season and the club will take advantage of a Alex Rodriguez injury and a re-tooling Boston Red Sox club to make a run at the AL East title. Bonifacio is a speedster that can play several positions. 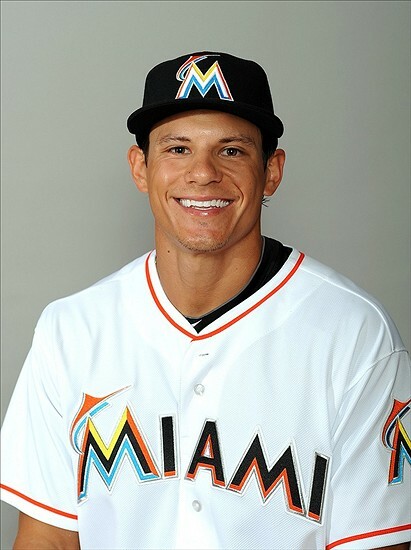 He posted a .360 OBP in 2011 and stole 30 bases in just 64 games in 2012 for the Miami Marlins. Izturis can’t really play short or third well anymore and he doesn’t do any one thing incredibly well, but he is 32 years old in 2013 and the Jays could expect about 30 doubles, 6 to 8 home runs, and 10 to 15 stolen bases over 450 to 500 at-bats. The club is in a great position with this “problem”. Well, Chipper Jones is gone and the Braves don’t have a third baseman for the first time since 1995. Atlanta added Chris Johnson as an extra part in their mega-deal with Arizona for Justin Upton and the right-handed hitting, 28-year-old brings a little bit of power with his career .746 OPS. He could be battling Juan Francisco, a powerful, left-handed hitting, soon-to-be 26-year old who has struggled to make consistent contact in his career, posting a 121:22 K:BB in 361 career at-bats. He has a lot of potential, but he is on the weak side of a platoon and doesn’t have a track record to rely on to this point. It will be a sad day in Atlanta without Larry Jones running out there, but the club should be prepared after dealing with all of Jones’ injuries over the years. Kurt Suzuki was once a very consistent performer, averaging 14 home runs and 67 RBI per season from 2009 to 2011 before totally crashing and burning in 2012, seeing his OPS drop all the way to .605 over 405 at-bats between Oakland and Washington. With Wilson Ramos coming back from an ACL injury, Suzuki could get the every day job for the first month or two of the season, and with solid producers around him in the lineup in Ryan Zimmerman, Bryce Harper, Ian Desmond, and Jayson Werth. 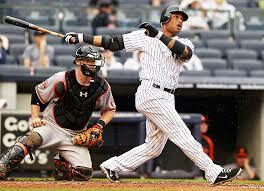 Ramos was outstanding in 2011, hitting 15 home runs and posting a .779 OPS at the age of 23. Can he regain his form and confidence after a leg injury? How long until Ramos is a real factor in the position battle? 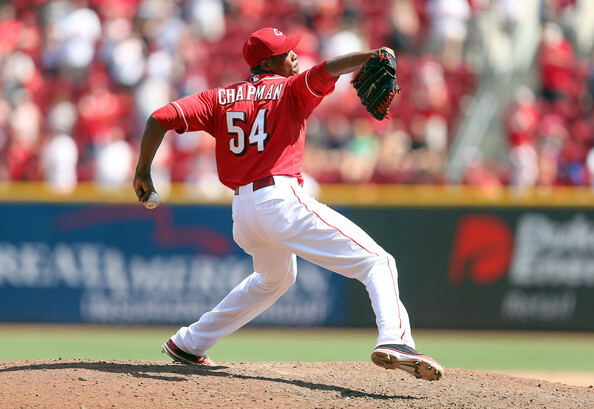 The sky is the limit for Aroldis Chapman if he is able to transition from the bullpen to the starting rotation. After posting a ridiculous 122:23 K:BB in just 71.2 innings in 2012, Chapman could, potentially, reach 200 strikeouts by averaging 13 K:9, which is still lower than his 14.1 K:9 career average. He could, legitimately, be the clubs best starter, even with Johnny Cueto and Mat Latos in front of him in the rotation. However, Mike Leake is still in the picture and the Reds could leave Chapman in the bullpen for part of the season to limit his innings before stretching him out. If that is the case, could Chapman then pull a Kris Medlen in 2013 and go on to post a 0.97 ERA while going 9-0 in 12 starts for the Braves after joining the rotation on July 31. Leake, who posted a 4.58 ERA over 30 starts in 2012 after posting a 3.86 ERA and 1.17 WHIP in 2011, is very athletic and is a very good rotation filler, but with Chapman, Tony Cingrani, and Daniel Corcino coming up behind him, he could be a long-relief pitcher or trade bait as early as this spring. With Chris Carpenter‘s continued neck issues, which could force him to miss the entire 2013 season, the Cardinals are suddenly lacking pitching depth, as they lost Kyle Lohse to free agency this winter, although he does remain unsigned. In their place, Lance Lynn, who was fantastic before hitting a wall last August, looks like the No.4 starter, but the Cardinals look to have an interesting battle between Shelby Miller, Joe Kelly, and, postseason superstar, Trevor Rosenthal. Miller has top-of-the-rotation stuff and could be the team’s ace in the next couple of seasons, while Rosenthal’s triple-digit fastball could be dominating out of the starting rotation. If the club wants to continue to develop Miller and Rosenthal, though, Kelly was solid in 2012, posting a 3.74 ERA over 16 starts, and he doesn’t turn 25 years old until June, so it isn’t like he is a veteran option, either. With Carlos Martinez, another top-of-the-rotation type of prospect on the way, the Cardinals seem to have the depth to overcome their current “shortage” of pitching. Certainly there are many other battles that will come about due to injuries, suspensions, or additional free agent signings, but these seven look like the biggest as spring training gets underway. Are there any battles you’re interested in watching over the next couple of months? According to ESPN Dallas, free agent outfielder Josh Hamilton signed a five-year, $125 million deal with the Los Angeles Angels on Thursday. Texas Rangers GM Jon Daniels was apparently upset that he wasn’t able to match the offer, but the team could have been more aggressive, rather than waiting to see the maximum contract another team was willing to pay the five-time All-Star, rather than regretting now. After yet another offseason with a huge, offensive acquisition, this following the Albert Pujols signing last year, the Angels have reloaded for the 2013 season. After losing starting pitcher Zack Greinke to the Los Angeles Dodgers, the Angels are now able to keep some attention on their roster, as the Dodgers continue to spend big bucks. Hamilton brings a tremendous amount of ability with him, and while it is easy for some to question the length and commitment due to his prior drug use, the fact remains that some team was going to pay him $25 million per year, so why not the Angels? They were able to explain paying Pujols $30 million in the final year of his contract (age 41), so they should be able to do the same thing here, discussing marketing and TV contracts and all of the forms of revenue streams that Hamilton will increase. So, what do the Angels do next? Hamilton and Pujols are just as scary as the 3-4 punch that Miguel Cabrera and Prince Fielder provide in Detroit, but the Angels have something more to offer. Mike Trout. And, you can’t forget that the team still has solid production coming from DH Kendrys Morales, outfielder Mark Trumbo, and occasional outbursts from lesser hitters like second baseman Howie Kendrick and shortstop Erick Aybar. The Angels can’t be done this offseason, though. With outfielders Vernon Wells and Peter Bourjos on the roster, a trade seems very likely, as the team could acquire upgrades elsewhere. 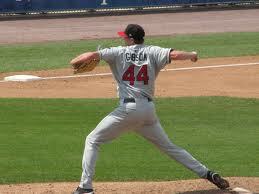 Alberto Callaspo is currently their third baseman. Trumbo has played third base for 63 innings, making four errors and posting a .714 fielding percentage. The upgrade will not involve a switch of positions for the slugger. Could the team ultimately look to deal Trumbo in a package to San Diego for Chase Headley? 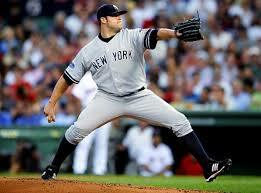 Headley would be a huge upgrade and another dynamic addition to the lineup. 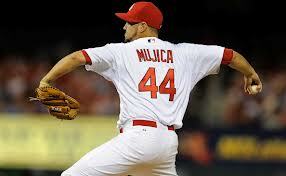 If not a third baseman, should the Angels upgrade their starting rotation? They have added Tommy Hanson in a deal with Atlanta, while signing Joe Blanton via free agency. With Jered Weaver and C.J. 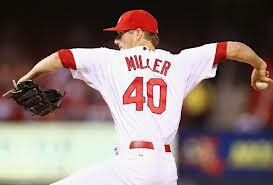 Wilson at the top of the rotation, could the Halos look to upgrade from Brad Mills in the fifth spot of the rotation? Maybe a deal with Cleveland for Justin Masterson or Ubaldo Jimenez makes some sense, or the team could take on someone more established by signing Kyle Lohse, Jair Jurrjens, Shaun Marcum, or Anibal Sanchez, since they apparently have the money. Regardless, Josh Hamilton provides a star quality that is worthy of Los Angeles. While the Rangers pondered Greinke, a Los Angeles team jumped in. 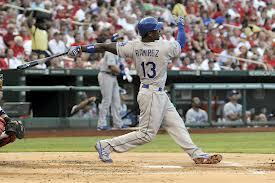 While the Rangers pondered on Hamilton, a Los Angeles team jumped in. The Rangers will need to jump at a deal for Justin Upton at this point, and they’ll probably have to cave in and deal Elvis Andrus or Jurickson Profar to make it happen. Otherwise, the team will be left with giving loads of cash to Nick Swisher, Cody Ross, or Michael Bourn to be able to compete with the Angels going forward. Where are all of the east coast bias whiners now? The gold rush is once again going on out west, and the Los Angeles Dodgers and the Los Angeles Angels are making free agency in baseball a two coast battle, and a battle that they appear willing to spend billions to win.